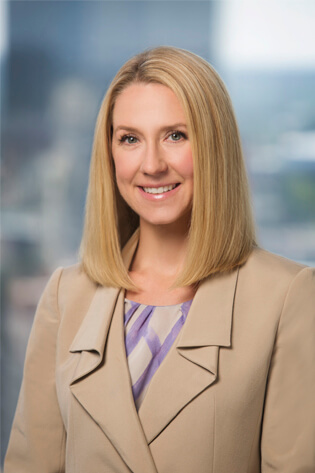 Megan Hargraves focuses her practice on healthcare regulatory, compliance and legislative matters, providing clients with strategic counsel on public policy and implementation issues. She advises hospitals and other healthcare providers on issues related to risk management, quality assurance and regulatory and operational compliance. She advises and represents clients on matters related to the Arkansas Peer Review Fairness Act, Arkansas Freedom of Information Act (FOIA), the False Claims Act and the Healthcare Quality Improvement Act (HCQIA). Her previous experience as a litigator representing clients in medical malpractice, products liability, class action and general insurance defense cases makes her a trusted advisor to healthcare industry clients. Advises healthcare industry clients on day-to-day regulatory, operational compliance and risk management issues. Represents hospitals on matters related to credentialing and the peer review process. Advises healthcare industry clients on the federal anti-kickback statute, the federal physician “Stark” Law and the False Claims Act, providing counsel on regulatory compliance. Counsels healthcare industry groups on legislation, compliance and litigation matters. Conducts regulatory reviews and internal investigations related to reportable incidents. Assists clients with responses to investigations by healthcare regulators, including the Centers for Medicare and Medicaid, the Office of the Medicaid Inspector General and the state attorney general. Counsels clients on Health Insurance Portability and Accountability Act (HIPAA) confidentiality issues, Emergency Medical Treatment and Labor Act (EMTALA) and patient care questions. Served as a law clerk for the Honorable Robert L. Brown and the Honorable Ronald Sheffield, Associate Justices of the Arkansas Supreme Court. Sovereign Immunity in Arkansas: Absolute or Only a Bar to Monetary Recovery? Common Procedural and Jurisdictional Pitfalls to Avoid in Practicing Before the Arkansas Supreme Court, 33 UALR L. Rev. 119 (2011).